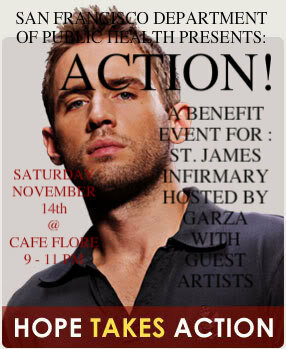 House of Garza Presents: Action! A Cocktail Party hosted by GARZA with special guests and local artists. @ CAFE FLORE 2298 Market Street in the Castro. Come show your support, learn about HIV research and the HIV vaccine trials and have some fun!